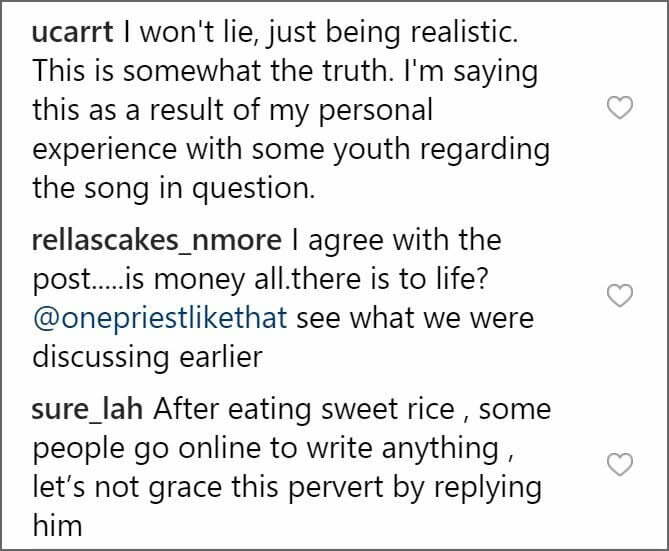 A young man known as “Emmanuel Kings” took to his Instagram page to share his view on one of Victor AD’s viral song titled “Wetin we gain”. Sincerely speaking Ritual killings has been the order of the day as news about heads, organs been removed are now the trending news all in the name of getting a Benz, flaunting expensive dress, shoes, brings and all. 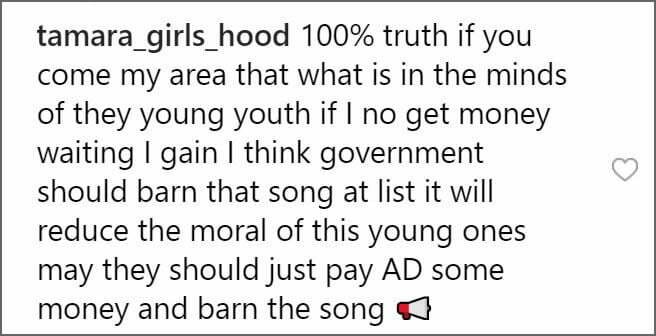 The phrase “If we no buy the Benz, Wetin we Gain” is a new slang on the street, as boys who are suppose to be in school reading now see this as a motivation to fuel their evil intentions so as to become well known and popular in the society. Sadly, girls are the major ones being used to boost their destiny. 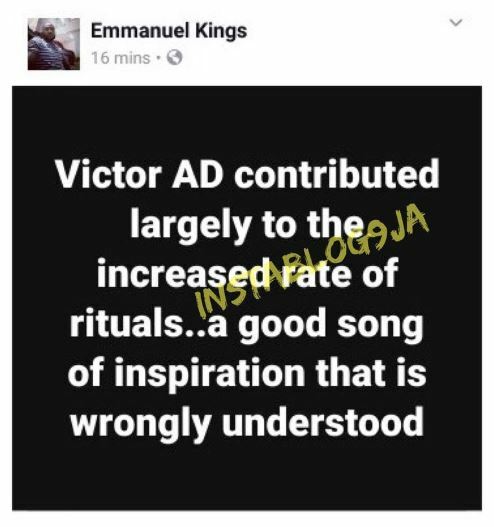 Do You Think Victor AD’s Song Actually Contributed To The Rampant Ritual Killings?